Sri Lanka had lost five ODIs to South Africa already this year, but had hoped that months later, playing for a different trophy, they could apply the lessons learned during that walloping. It wasn't to be. The gulf in quality between these teams was borne out by the margin of South Africa's victory: 96 runs. 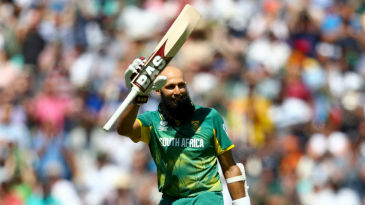 In fact, South Africa may reflect that despite Hashim Amla's velvet 103 from 115 balls, and Faf du Plessis' efficient 75, they were not quite explosive enough during the death.